by Audi of America, Inc. 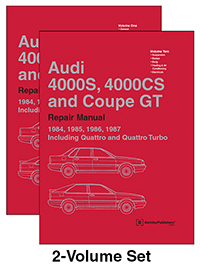 The Audi 4000S, 4000CS (B2) and Coupe GT: 1984-1987 Repair Manual is a comprehensive, single source of service information and specifications specifically for the Audi 4000 models built on the B2 platform from 1984 to 1987. 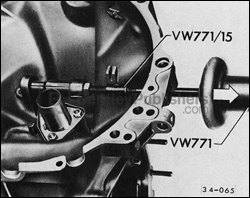 This collection of Audi service information includes wiring diagrams, maintenance tables and technical data. Service to Audi owners is of top priority to Audi and has always included the continuing development and introduction of new and expanded services. The aim throughout this manual has been simplicity and clarity, with practical explanations, step-by-step procedures, and factory specifications. Whether you're a professional or a do-it-yourself Audi owner, this manual will help you understand, care for, and repair your Audi. 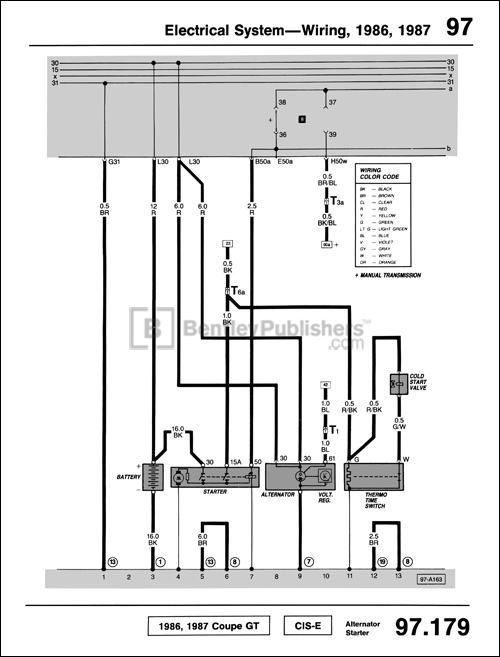 For additional technical content for the 1980 through 1987 Audi 4000 models, visit our online technical library by clicking below. Fig. 4. Clutch release shaft bushing, removing. Fig. 34. 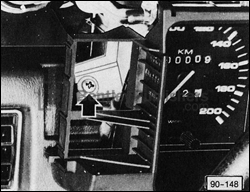 Instrument cluster, removing.